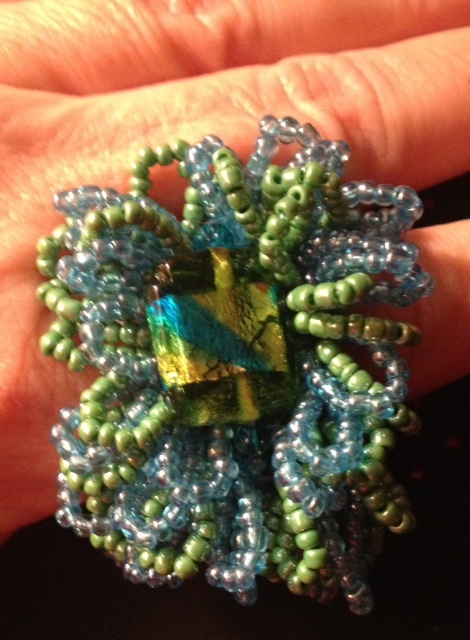 This entry was posted in Beadalon, Beading, blog, Blue Moon Beads, crafts, creative, gifts, handcrafted, handmade, jewelry, Julianna Hudgins, seed beads, Uncategorized and tagged bracelet, mermaids, rings. Bookmark the permalink. Ooh. I’ve never tried beadweaving with a loom, but I do make a lot of jewellery with off-loom techniques. Will have to put this on my ‘to-try’ list!